My visit was 2 days long, 6th to 8th April 2018; I left early on the 8th. The purpose was to meet friends from the Valor Tour organization and a former Peace Corps Volunteer. I generated 13 subject albums such one of the Philippine Veterans Week. This 14th Album is about pictures that did not fit into a separate album. 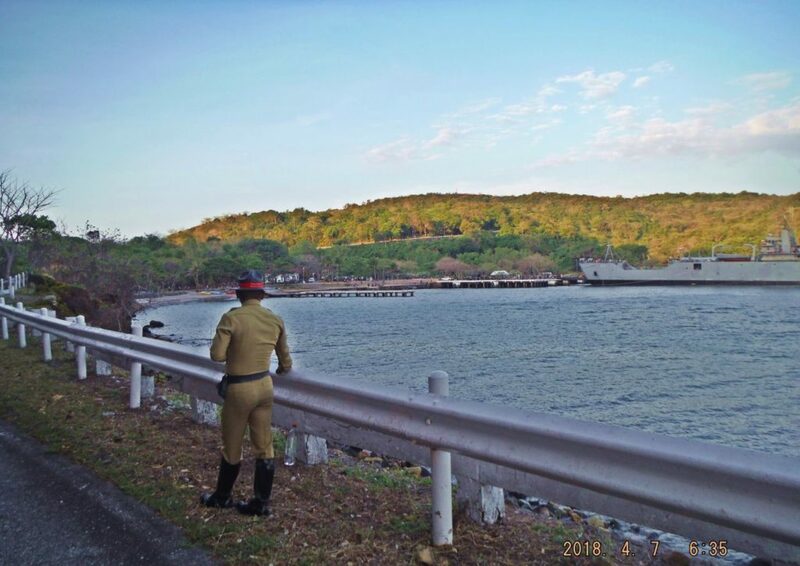 Za989.The South Channel to Manila Bay with Caballo Island at left, we are looking across the 92nd Garage area on the former Fort Mills on Corregidor Island. 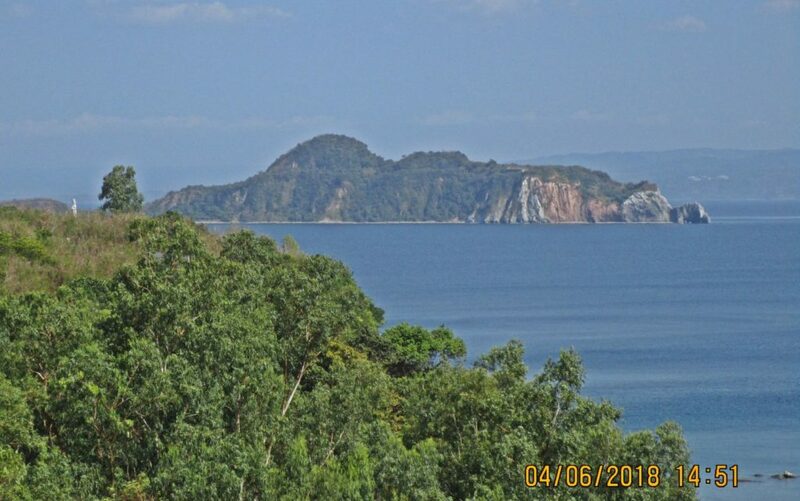 Za990.The South Channel to Manila Bay with Caballo Island at left (close-up), we are looking across the 92nd Garage area on the former Fort Mills on Corregidor Island. Za991. 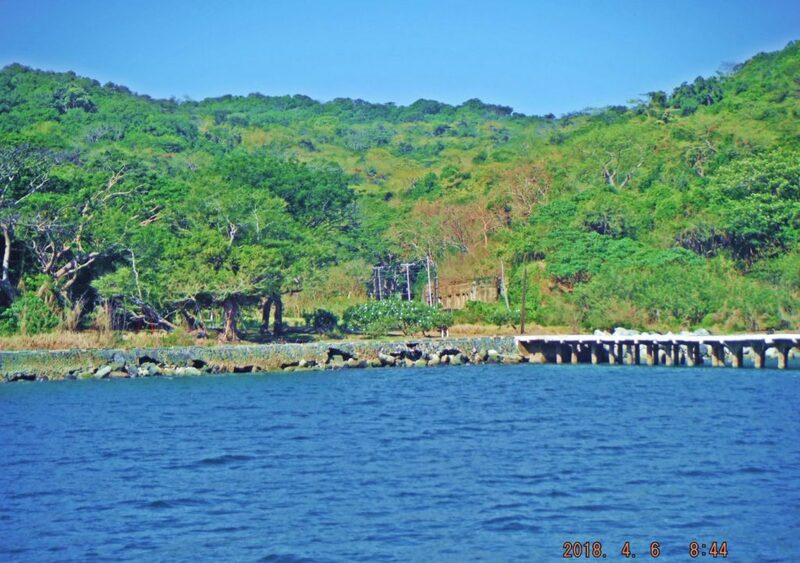 Motor boat El Corregidor II at the north shore, Bottomside on Corregidor Island. 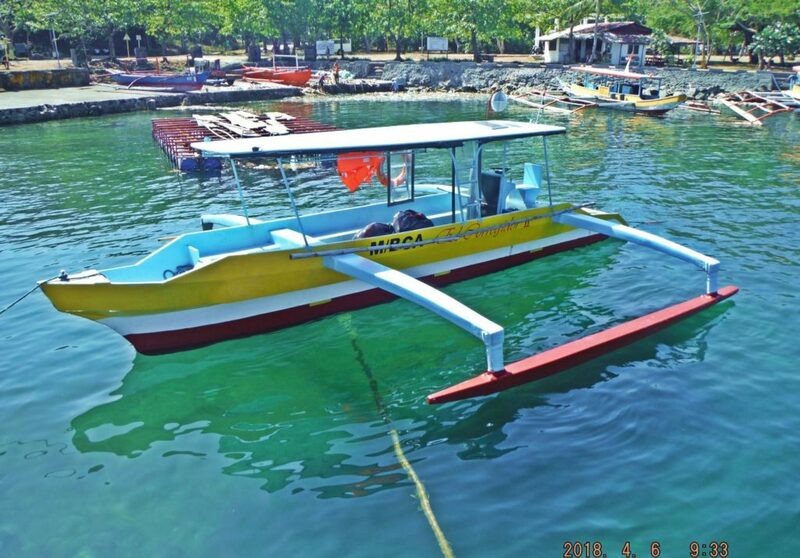 It belongs to Prime Square Enterprises; I used this boat to get to Corregidor Island this time. 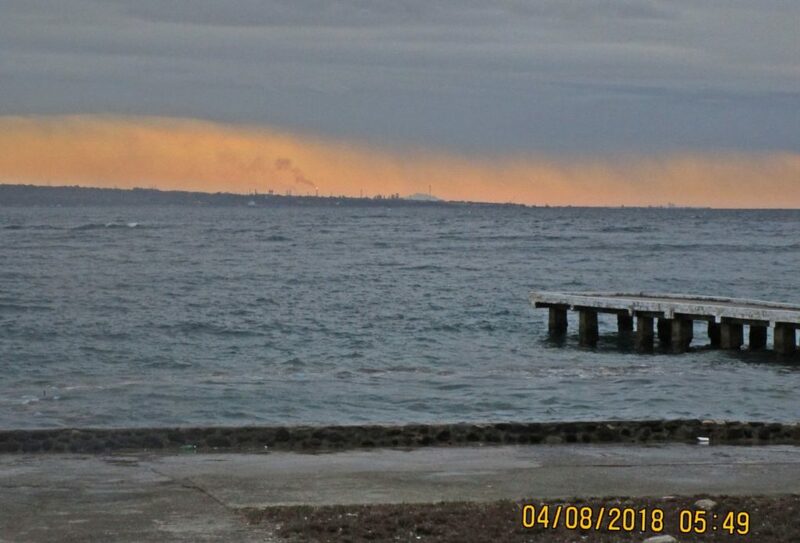 Za992.From the boat landing at the north shore, Bottomside on Corregidor Island we have a view into the Engineering Ravine and we see the massive coal fired (formerly) power plant. Za993.The staff of the famous former MacArthur Café; it is now called the Freedom Café. I stayed here because the hotel is so expensive. The new CFI management does not allow them to rent out their rooms anymore. 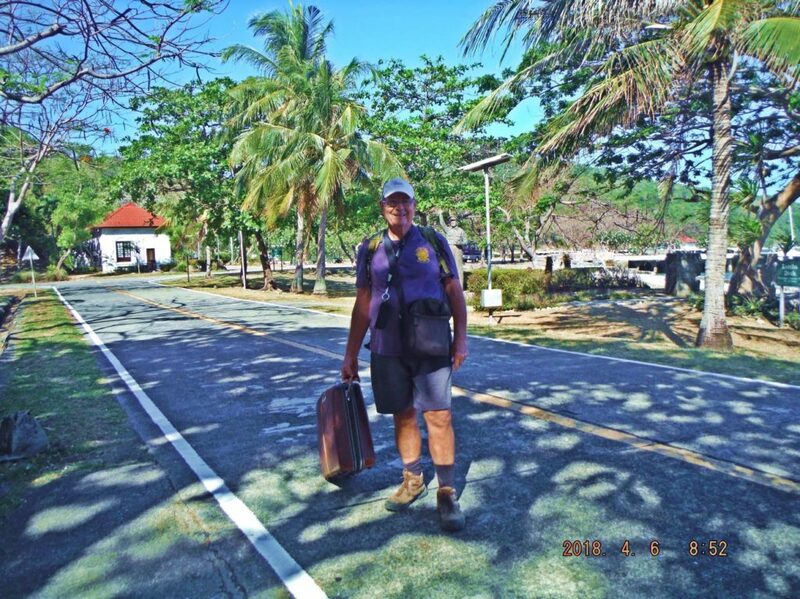 Za994.Karl Welteke arrived at the Freedom Café, formerly MacArthur Café, to check into this budget type accommodation on Corregidor Island. It seems this option is not available anymore, per decision of the new CFI Management! 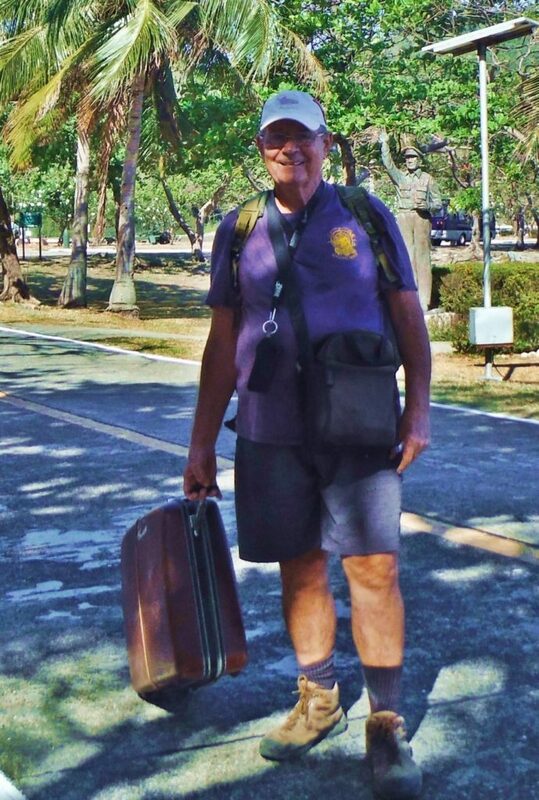 Za995.Karl Welteke arrived at the Freedom Café, formerly MacArthur Café, to check into this budget type accommodation on Corregidor Island. It seems this option is not available anymore, per decision of the new CFI Management! 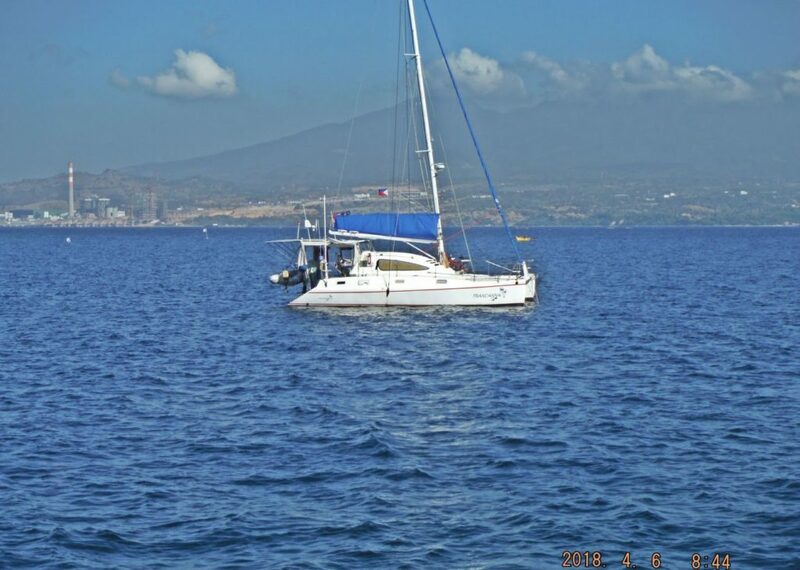 Za996.On the 6th of April this yacht was anchored near the north shore at Bottomside on Corregidor. It was from Malaysia and had something to do with an outing on Corregidor by the Blondal Malaysia Company for their sales achievers. 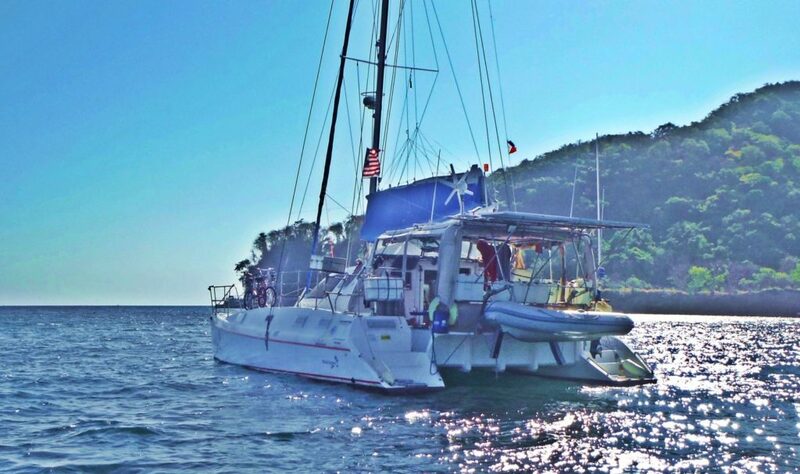 Za997.On the 6th of April this yacht was anchored near the north shore at Bottomside on Corregidor. It was from Malaysia and had something to do with an outing on Corregidor by the Blondal Malaysia Company for their sales achievers. 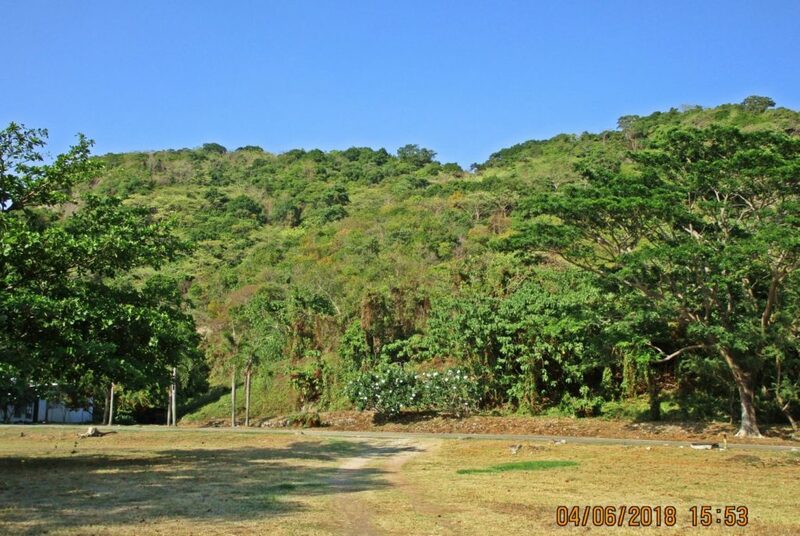 Za998.This is view of the west slopes of Malinta Hill on Corregidor from the south side of Bottomside. Za999.A new friend and former Peace Corps Volunteer, Mike Ross, and now a businessman in the Philippines. 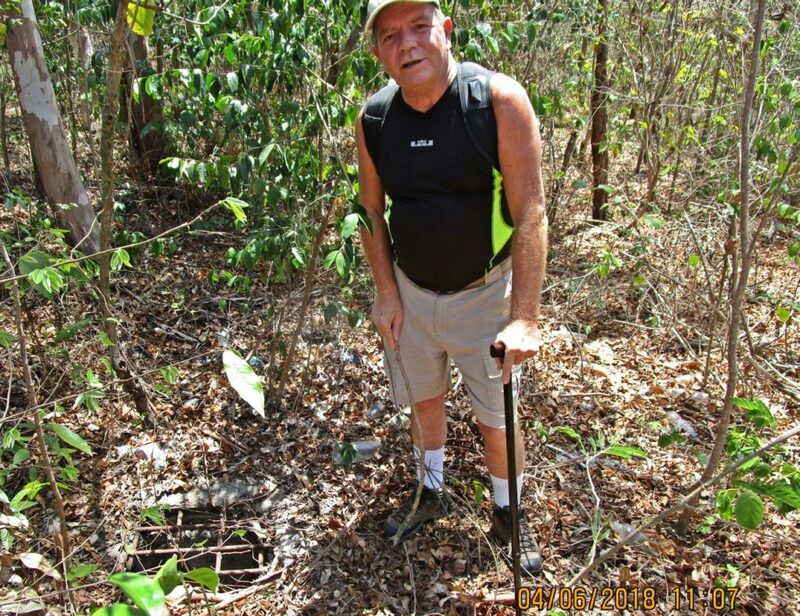 He visits Corregidor often; he likes the tranquility on the island and its history of course. Here he stands the vent of RJ 43 Tunnel. 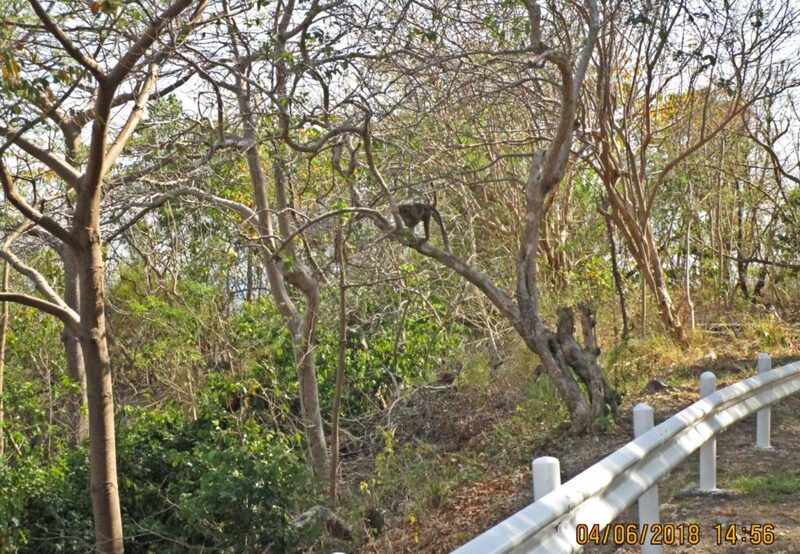 Zc001.There are many monkey groups on Corregidor Island, this one was next to the south road next the Battery Denver Hill. Zc002. 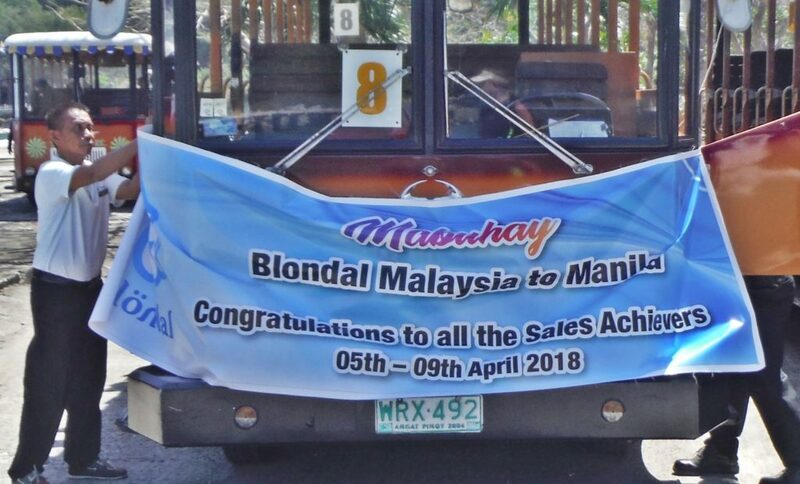 Welcome the Sales Achievers of Blondal Malaysia Company to Corregidor; this was on the 6th of April 2018. 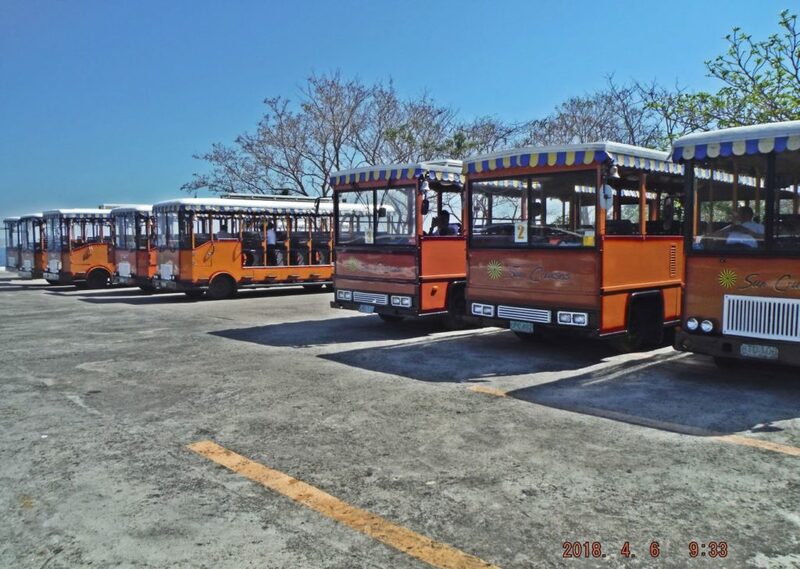 The tour trolleys are ready to accommodate them. 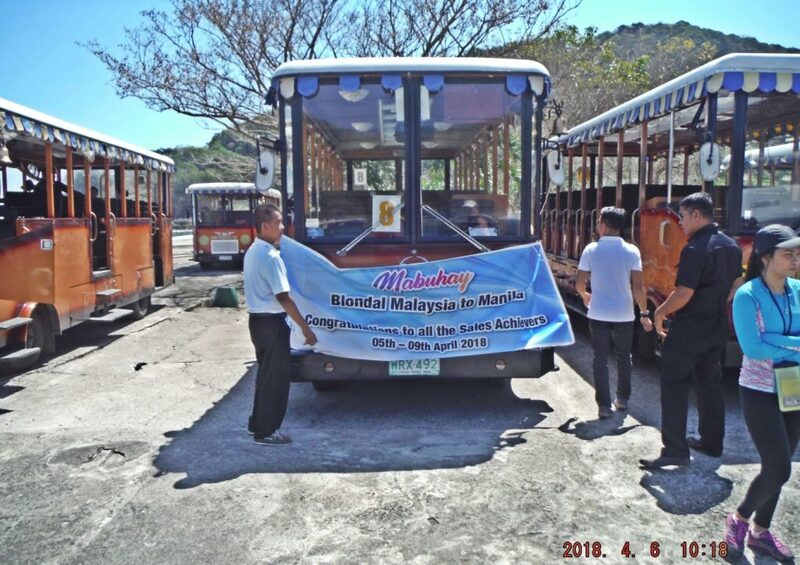 Zc003.Welcome the Sales Achievers of Blondal Malaysia Company to Corregidor; this was on the 6th of April 2018. The tour trolleys are ready to accommodate them. Zc004. Today is the 6th of April 2018 and many visitors are coming. Tomorrow the Tribute to All Filipino Veterans Day and the first visitors arrived. Zc005. 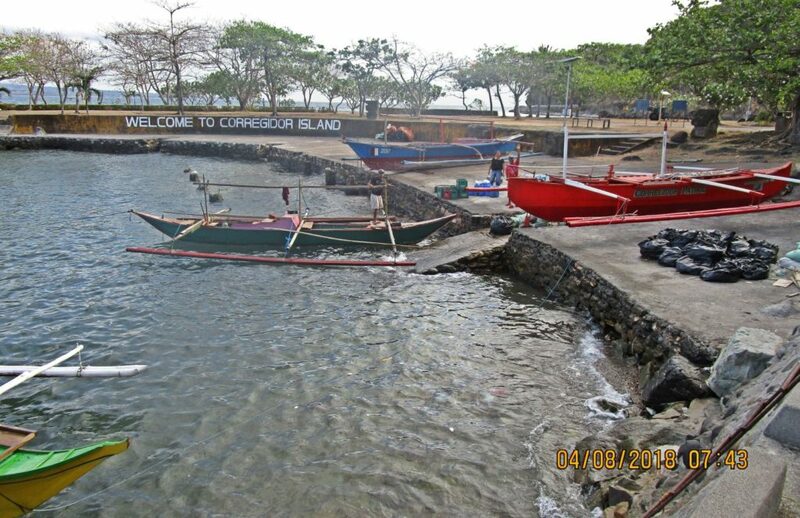 A vessel, larger than the usual outrigger boats, is passing thru the Manila Bay South Chanel near the Caballo Island, the former Fort Hughes. The ships seldom steam that close by. Zc006. 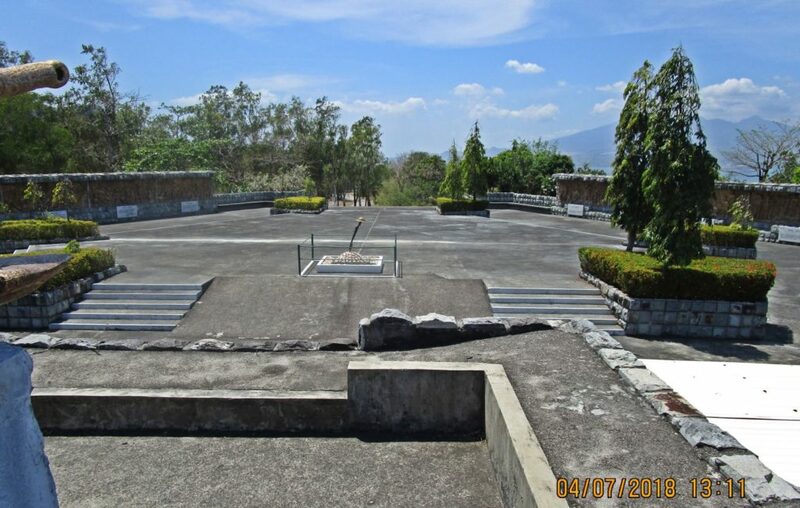 This is the Filipino Heroes Memorial on Corregidor Island at the west end of Water Tank Hill. 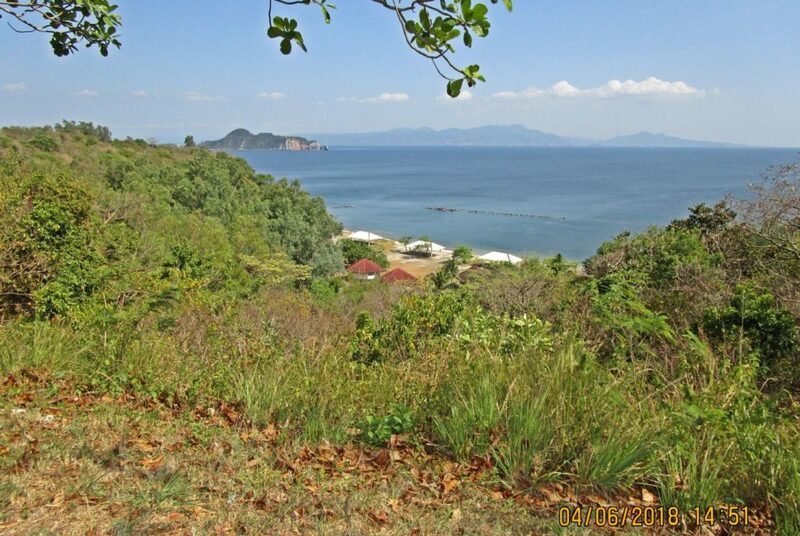 Serious fighting occurred here in 1942 and 1945 during the siege and the liberation of Fort Mills on Corregidor Island. Zc007. 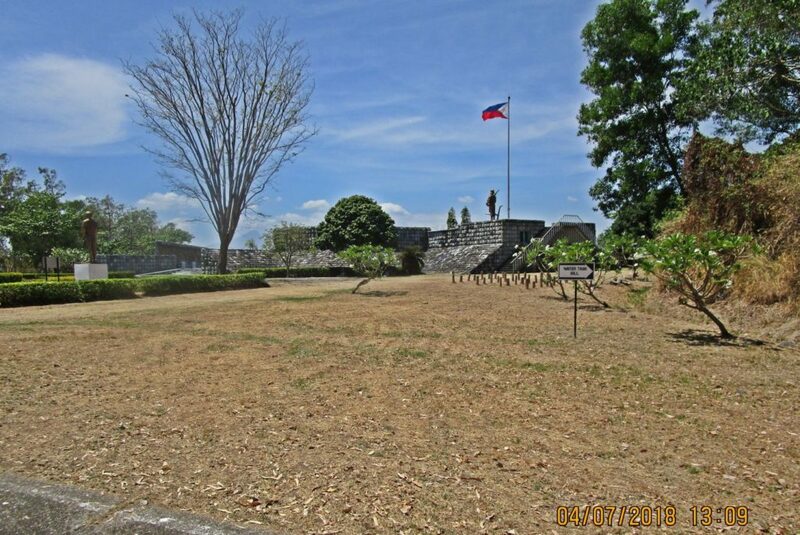 This is the Filipino Heroes Memorial on Corregidor Island at the west end of Water Tank Hill. Today is the 7th of April 2018 and a few hours before the commemoration for the Tribute to all Filipino Veterans were held here. Zc008. 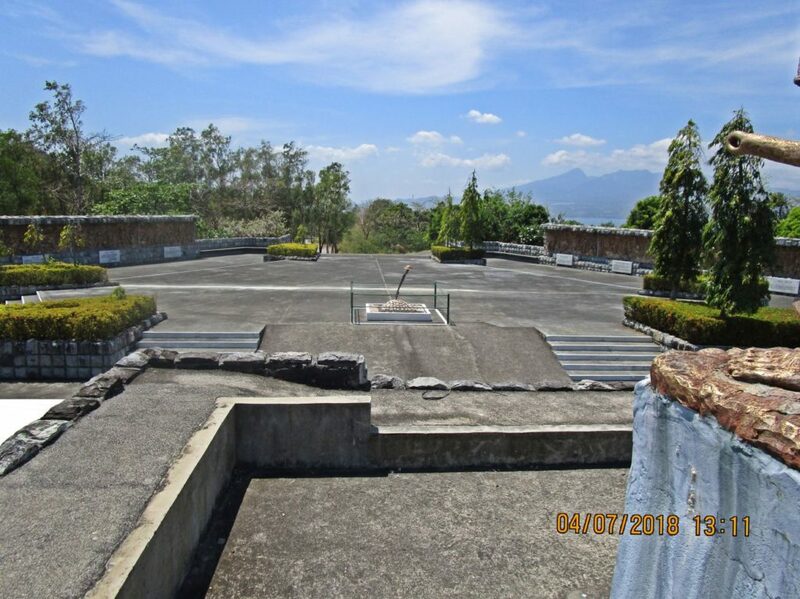 Today is the 7th of April 2018 and a few hours before the commemoration for the Tribute to all Filipino Veterans were held here. 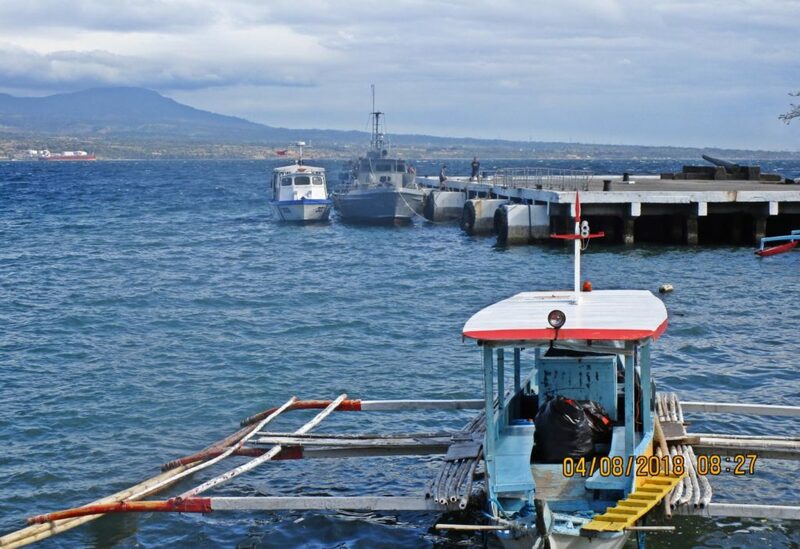 It is all unrigged and cleaned up by sailors of the Philippine Navy from Cavite Naval Base, GOOD JOB!!!!!! Zc009. 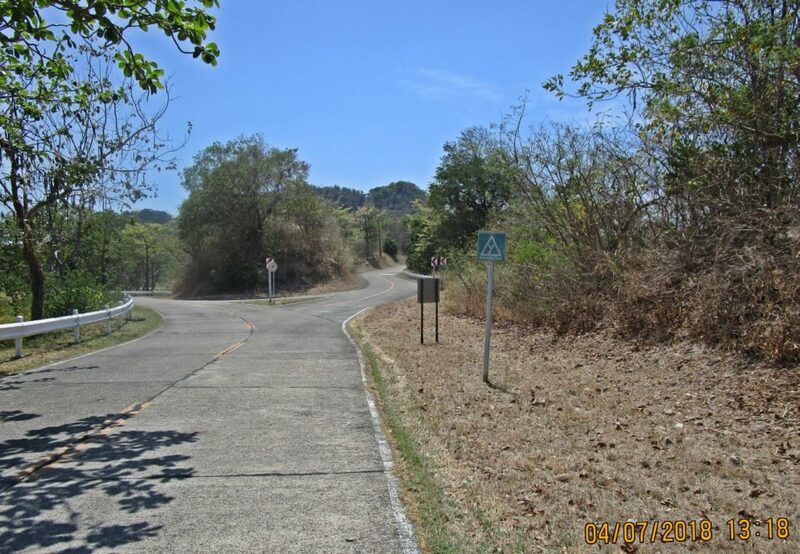 West view of Corregidor roads from the Filipino Heroes Memorial, the left one goes thru Malinta Hill, the right one goes around in on the north side. Zc010. Near the Malinta Hill are two small tunnels, perhaps better called “dugouts”, one is smaller than the other but they are close together. 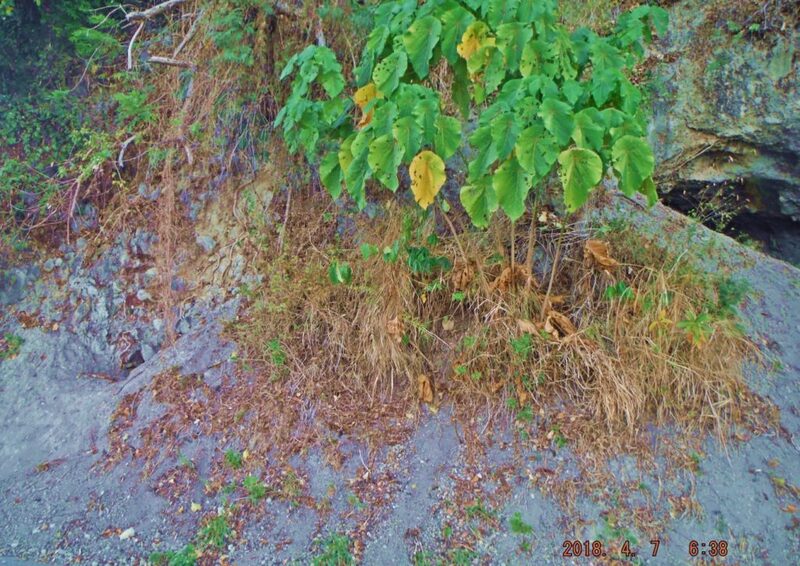 An artillery gun or machine gun could cover the north beach of Bottomside. Zc011. 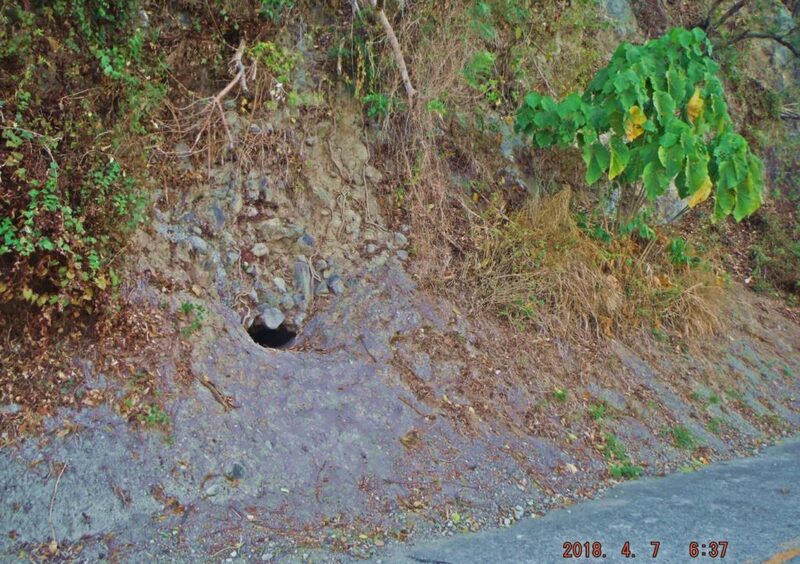 Near the Malinta Hill are two small tunnels, perhaps better called “dugouts”, this is the smaller one, the more eastern one; big enough for a machine gun that could cover the north beach of Bottomside pretty good. Zc012. 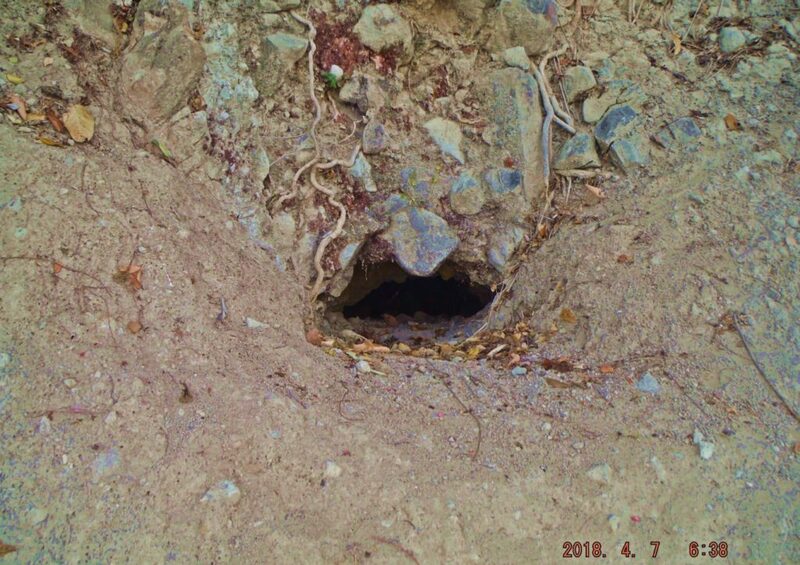 Near the Malinta Hill are two small tunnels, perhaps better called “dugouts”, this is the smaller one, the more eastern one; big enough for a machine gun that could cover the north beach of Bottomside pretty good. Zc013. 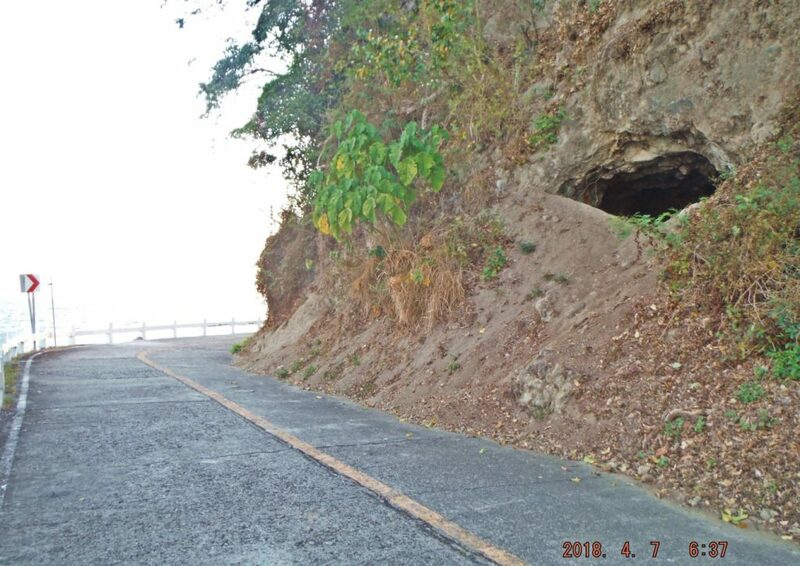 Near the Malinta Hill are two small tunnels, perhaps better called “dugouts”, this is the bigger one, the more western one; big enough for a smaller artillery piece that could cover the north beach of Bottomside pretty good. Zc014. 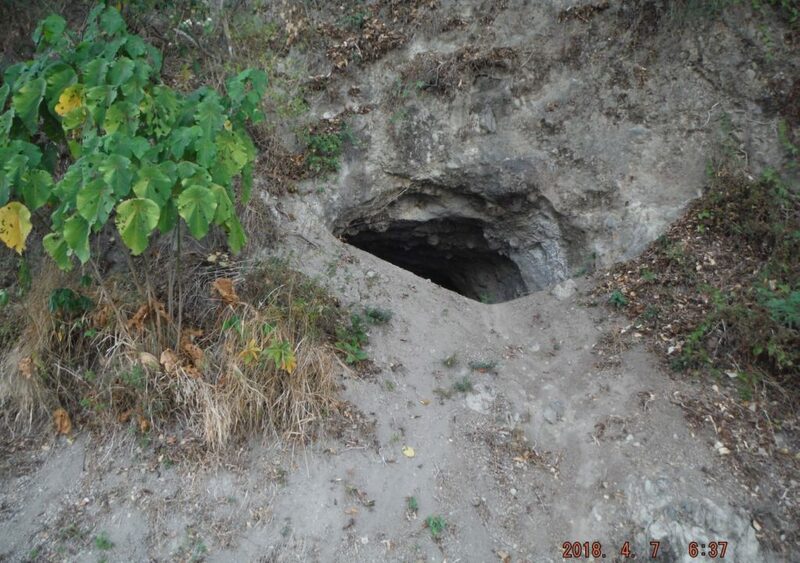 Near the Malinta Hill are two small tunnels, perhaps better called “dugouts”, this is the bigger one, the more western one; big enough for a smaller artillery piece that could cover the north beach of Bottomside pretty good. Zc015. Today is the 7th of April 2018 and in a few hours the commemoration for the Tribute to all Filipino Veterans will be held. The Philippine Navy from Cavite Naval Base was here and supported the event. Zc016. 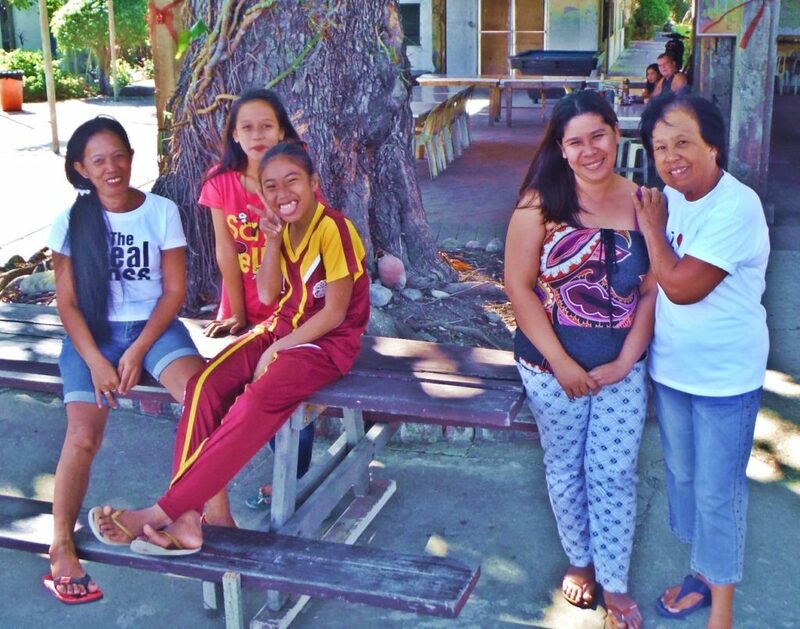 It is morning of the 8th April 2018and I am ready to leave Corregidor Island, the former Fort Mills, and early visitors from Bataan arrived, they are called walk-ins by CFI; I am a walk in. Zc017. This is only the 2nd time that I could see Mount Arayat from Corregidor; the view is helped by the early eastern morning reddish light. The direction of the view is over Limay in Bataan, look at all the industry there-jobs! Zc018. 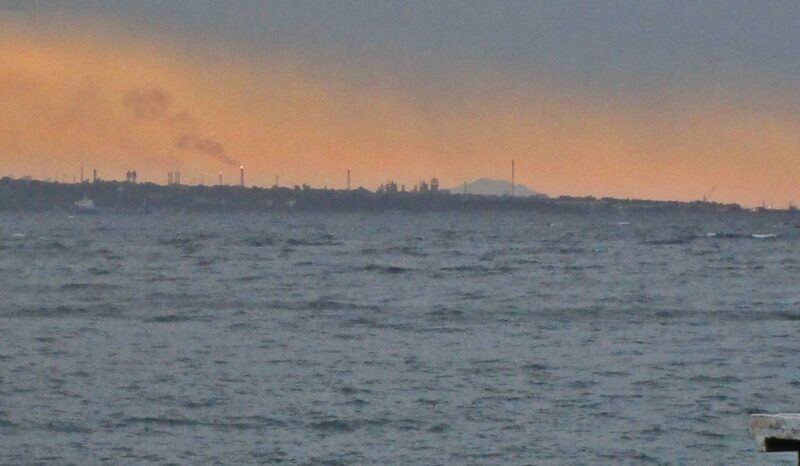 This is only the 2nd time that I could see Mount Arayat from Corregidor; the view is helped by the early eastern morning reddish light. The direction of the view is over Limay in Bataan, look at all the industry there-jobs! Zc019. 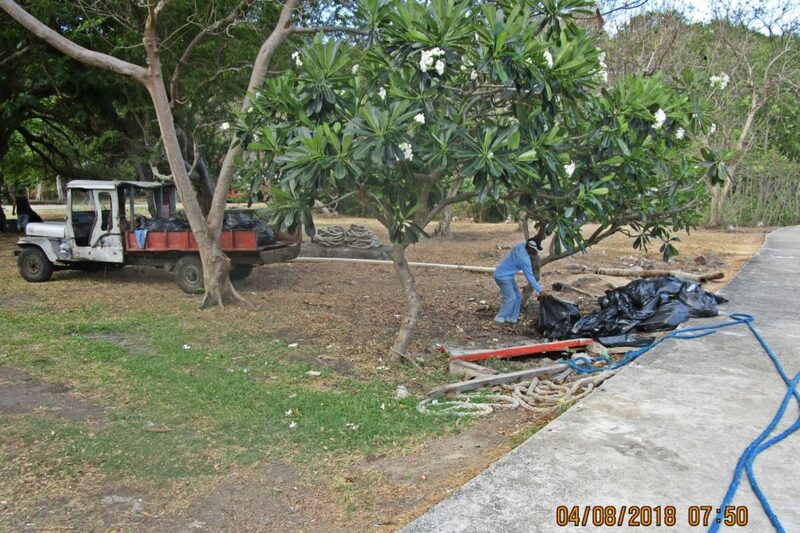 Poor Corregidor Foundation Inc (CFI), here is workers transporting Manila Bay trash, collected by CFI personnel daily. But it is an impossible and hopeless task. It is from the people that live around Manila Bay and don’t follow the trash rules. Zc020. 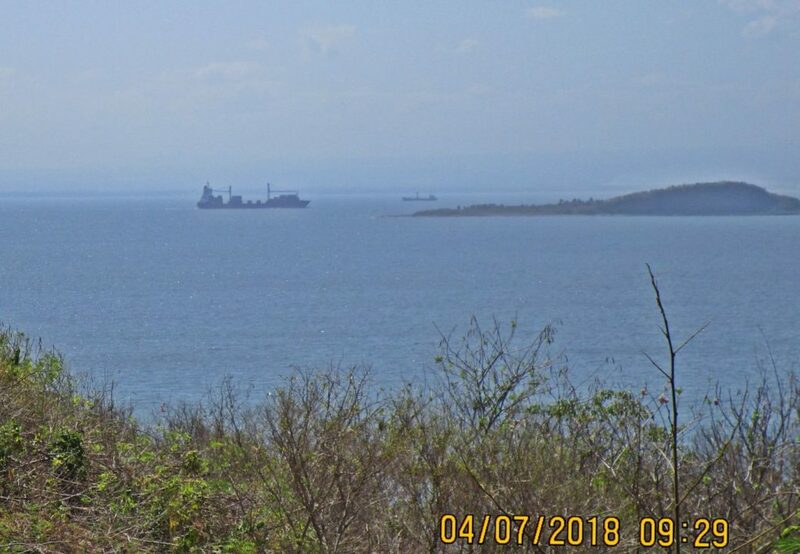 Two Philippine Navy boats are still here from the event: Tribute to all Filipino Veterans; they supported the event and will also leave the island this morning, the 8th of April 2018. Zc021. Welcome to Corregidor! Where will I stay overnight next time-no more Rowhouse and no more Freedom Café rooms? 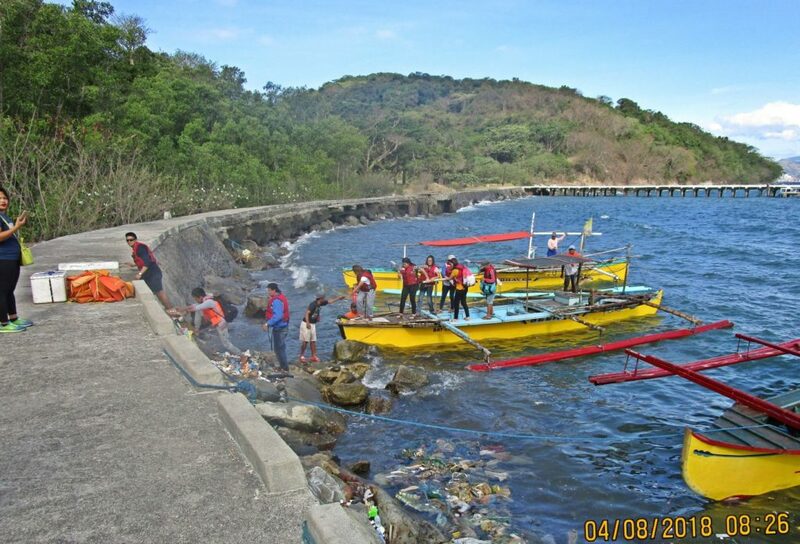 Notice the trash bags at right, more Manila Bay trash that CFI had to take care of!!!!!!!! !